Changes in the economic situation of the organization must be characterized using techniques and methods of statistics. Using the series you can see how phenomena change over time. 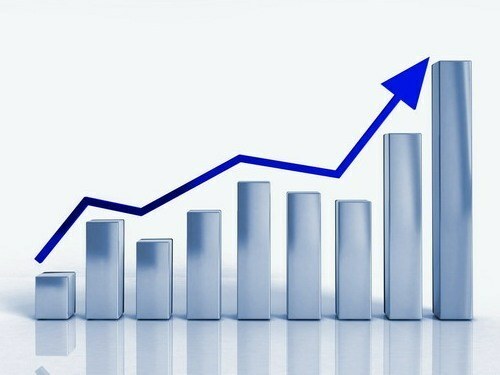 Performance level changes over time are calculated such indicators as the absolute growth, growth rate and growth rate. Calculate the absolute gain of the selected quantity over a certain period of time. To do this, calculate the difference between the initial and final level according to the formula Δ U= U2-U1, where U1 is the initial level value, U2 - the ultimate level. Absolute growth characterizes how many units of value in the subsequent period is more or less than its level in the previous period. Determine the growth rate of this magnitude for the period. To do this, find the ratio of its level in the period to the level in the previous period according to the formula K= Y2/ Y1 × 100%, where Y1 is the initial level value, U2 - the ultimate level. This index describes how many times the value in one period is greater or less than the value in another period. Find the growth rate of this magnitude by calculating the ratio of the absolute growth to the level taken as a base of comparison. The base of comparison can be constant and variable. When comparing the current level with the previous calculated chain growth rate, and the comparison with an initial indicator (base) - base. Calculate the chain growth rate by the formula CRC = (U - U-1) / U-1, where U - level values in the current period, U-1 - level value in the previous period. Determine the base rate of growth by the formula CRC = (Yn-Y1) / Y1, where Yn - level values in the current period, U1 is the initial level value. K = n-1 √ Yn/Y1, where n is the number of periods changes, the UE - leaf level value, Y1 is the initial level. To calculate the average rate of growth of the need of resulting numbers subtract one and multiply the result by 100%. Consider as an example the calculation of the average growth rate of earnings for the year provided that at the beginning of the year it amounted to 100 thousand rubles, and at the end of the year 300 thousand rubles. Calculate the rate of profit growth: 300/100 = 3. That is, the profit for the year increased by 3 times. Find the root of the number 3 in degrees 11, the result is equal to 1,105. Subtract from the resulting number of unit and multiply by 100%. So, the average growth rate of earnings per month will be equal to 10.5%.